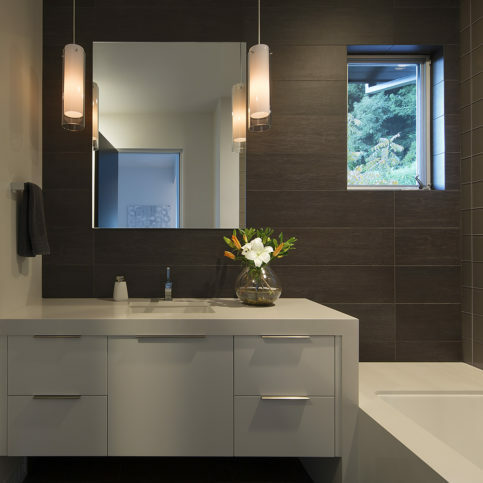 Diablo Valley Cabinetry designs and sells a variety of cabinetry products for residential and commercial clients throughout the East Bay. The company focuses on offering creative cabinet solutions combined with personalized service, and its entire program is designed to provide high-quality products at competitive prices. 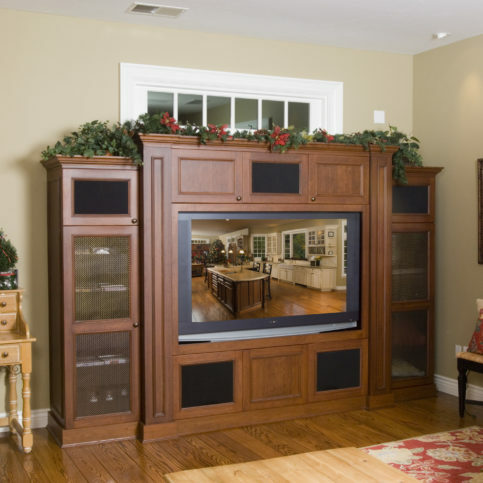 Its made-to-order product line ranges from budget to fully custom cabinets for kitchens, bathrooms, offices, libraries, entertainment centers and more. 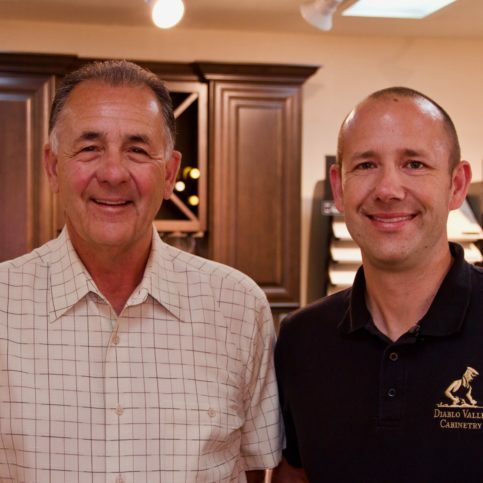 President Frank R. Canova Jr. joined Diablo Valley Cabinetry in 2003, 21 years after his father, founder Frank R. Canova Sr., established the company. The partnership resulted in a new dimension of technology and engineering expertise for a firm already known for expert knowledge, creativity, and passion for customer service. “Since teaming up with my father, we’re in a stronger position than ever to give our customers the service they want,” says Frank Jr.
Diablo Valley Cabinetry’s San Ramon showroom features more than 15 full displays, and the company’s design professionals work with customers from the initial meeting through project completion to select the right products to fit their lifestyles and budgets. 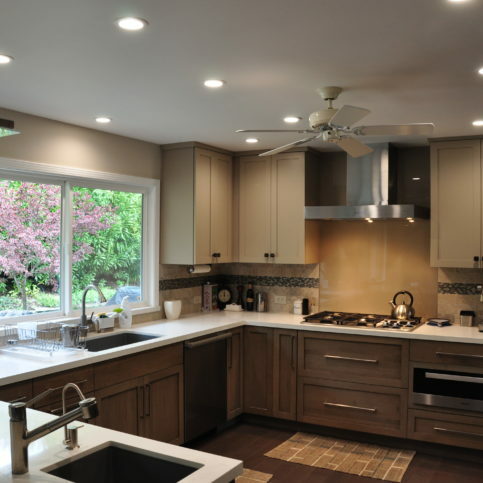 “Our goal is to listen to each client’s vision and help them navigate the maze of products and finish selections,” says Frank Jr.
Diablo Valley Cabinetry is a service business from top to bottom, pledging exceptional work and a first-rate experience for customers. 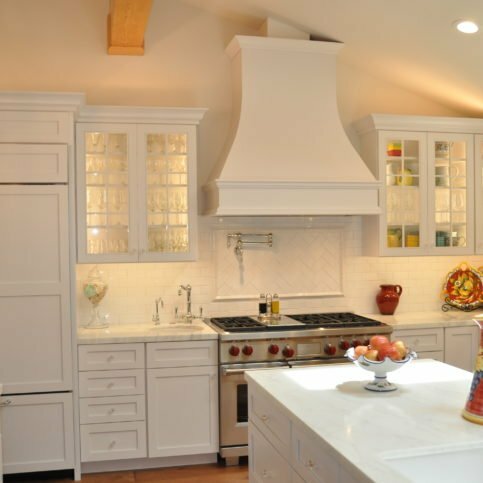 Founded in 1982 by Frank Canova, Diablo Valley Cabinetry is one of the most sought-after kitchen design firms in the San Francisco Bay Area today, says Mr. Canova. 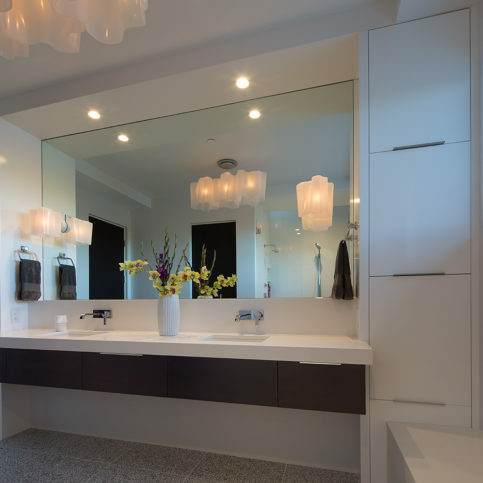 Their goal is to create beautiful living environments that enhance the lives of customers. Their San Ramon offices have an abundance of display space, a wholesale-like arrangement that offers more competitive pricing than traditional retail cabinet showrooms. 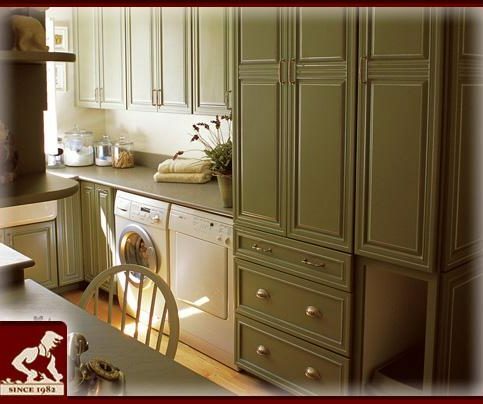 Diablo Valley Cabinetry carries an extensive product line from modular to semi- and full-custom cabinetry. 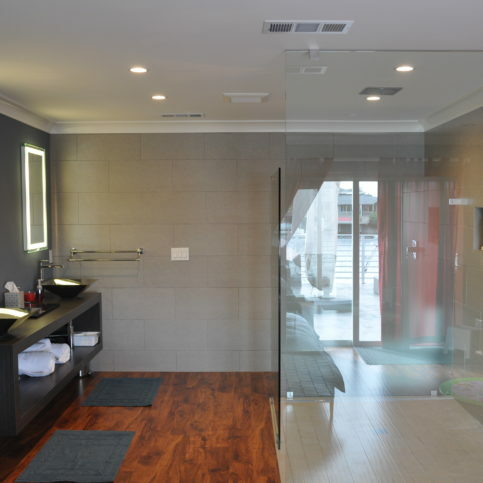 Customers can choose from the latest styles and finish options, in a range of materials priced for every budget. 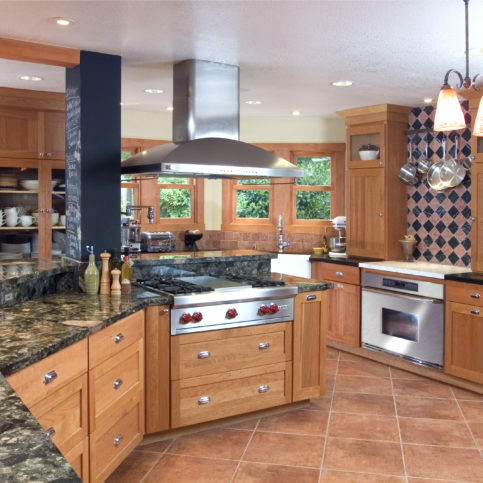 Diablo Valley Cabinetry’s Designers work with you to understand your lifestyle, visualize your ideal kitchen and select products that can bring your dream to life. 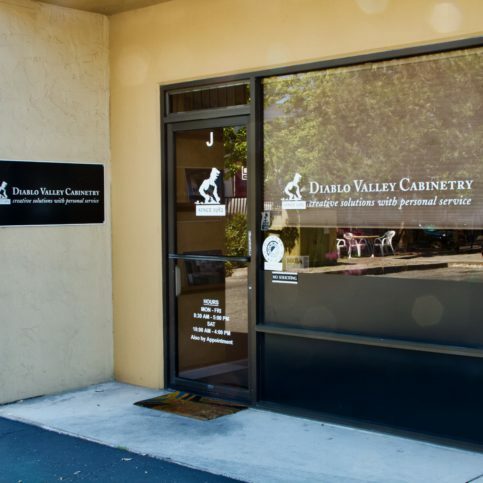 Though Diablo Valley Cabinetry deals primary in cabinetry, your representative can also direct you to quality suppliers of flooring, plumbing, fixtures, and appliances. 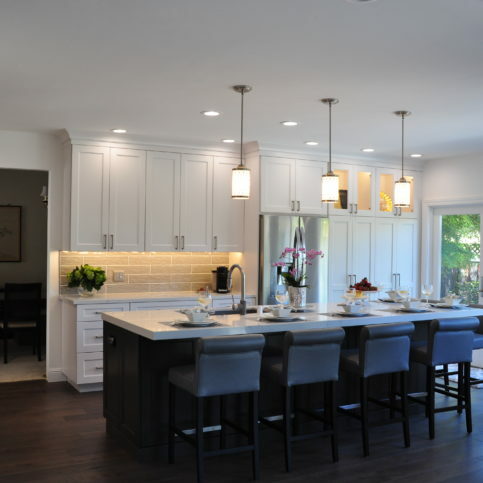 “The goal at all times is to make things easy on the customer,” says Mr. Canova, Jr… Diablo Valley Cabinetry maintains strong relationships with manufacturers, as evidenced by their pricing and by the quality of their services. The company stands behind everything it sells, with warranties that often exceed those of the manufacturer. When you shop around for new cabinets, make sure you compare apples to apples. 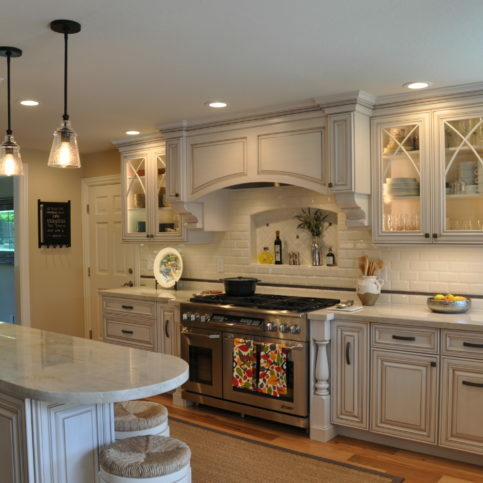 Purchasing cabinetry is a decision you could literally be living with for years, if not decades, to come. It’s a good idea to weigh your alternatives, especially in this challenging economy. Look around, see what’s out there, and get a few bids. Collect all the relevant details—materials, labor, design costs. “If companies sense that you’re shopping on the basis of price alone, they may offer bare-bones estimates that don’t reflect your true final cost,” explains Mr. Canova. 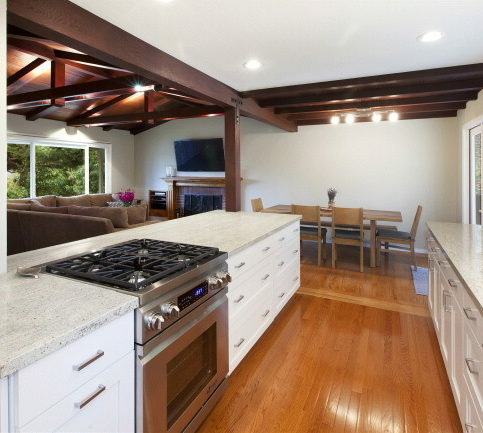 Q: How can Diablo Valley Cabinetry simplify my remodel process? 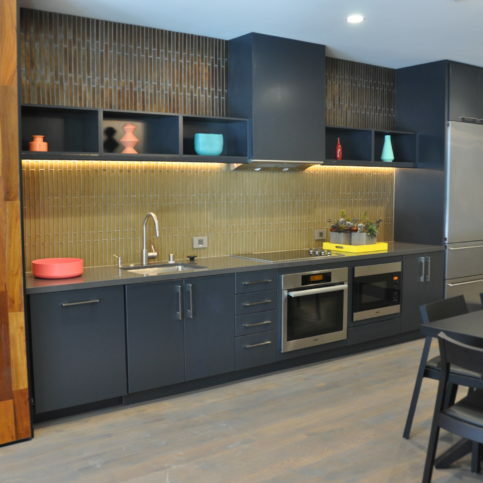 A: A lot of thought goes into the where, how and why of a kitchen remodel. 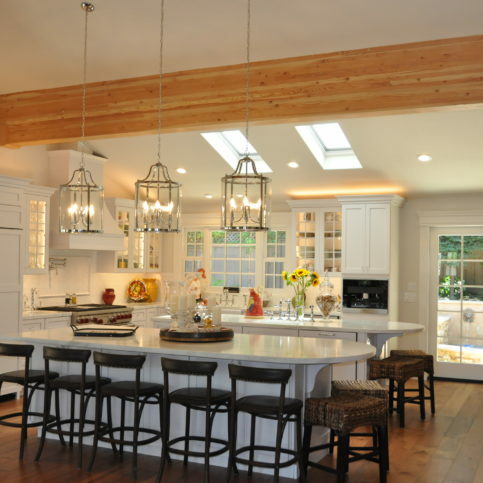 Diablo Valley Cabinetry pairs you with a trained, experienced designer who will help you make the most of your space. 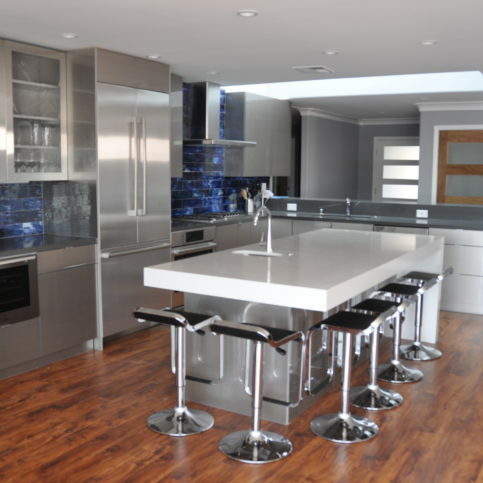 We’ve designed thousands of kitchens. 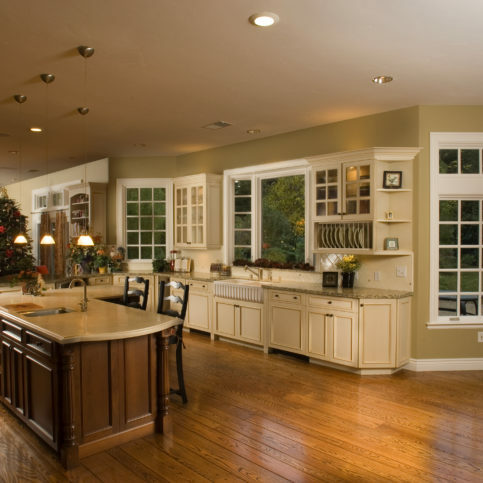 We’ll help you navigate the maze of options in cabinets, appliances, countertops, flooring, lighting, backsplashes, and more. 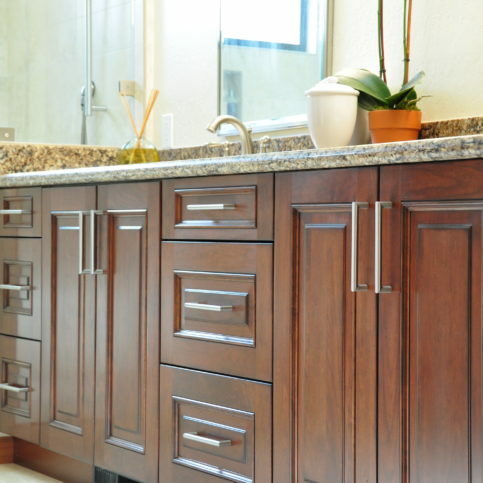 Most importantly, Diablo Valley Cabinetry is a service business from start to finish. We help you design your space and we’ll place your order, track your delivery, and receive and confirm your order in person. We work with you and your contractor to get everything installed. We deal personally with any issues that come up. 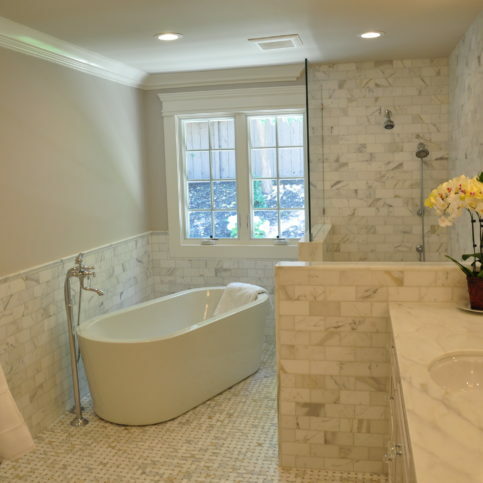 You can be as involved as you’d like, but we’ll cover all the day-to-day aspects of your remodel. 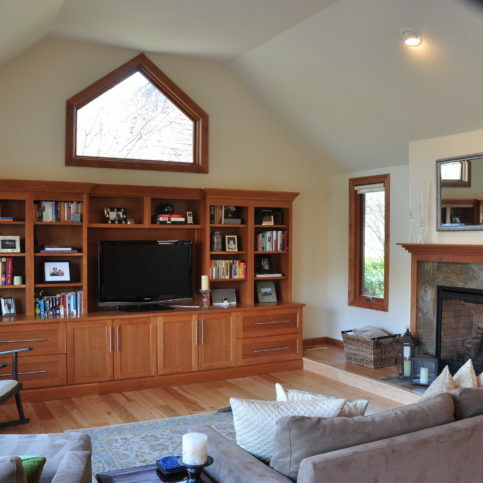 Q: Can Diablo Valley Cabinetry help me with other rooms in my home? A: Absolutely. We supply cabinets for the entire house. Contact us to set up an appointment with one of our designers to discuss your goals. You can also visit our online image gallery to see the full range of products and services. Q: Why are some cabinets so much more expensive than others? A: The answer to this question could fill pages. Factors include cabinet construction, construction type, door styles, wood species, finish, and accessories. You’ll want to spend time with a knowledgeable professional to understand and see for yourself how each feature adds value and a unique look to your project. 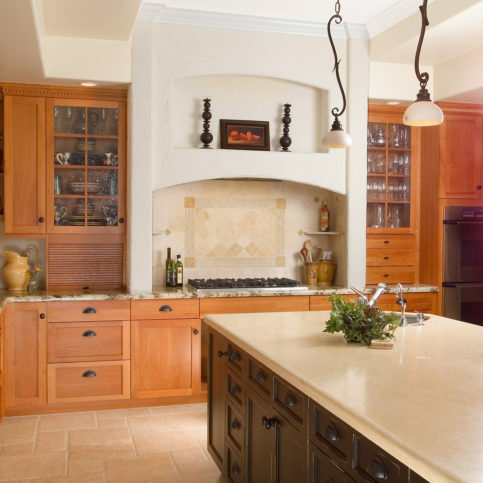 Q: Can Diablo Valley Cabinetry help me with appliances, countertops, etc.? A: Yes. 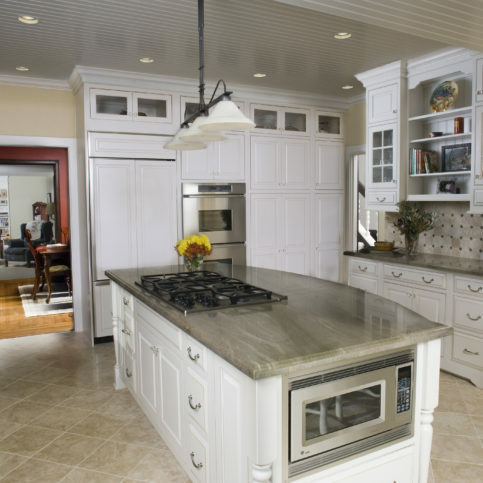 Diablo Valley Cabinetry has been in business for 27 years and we’ve designed thousands of kitchens. 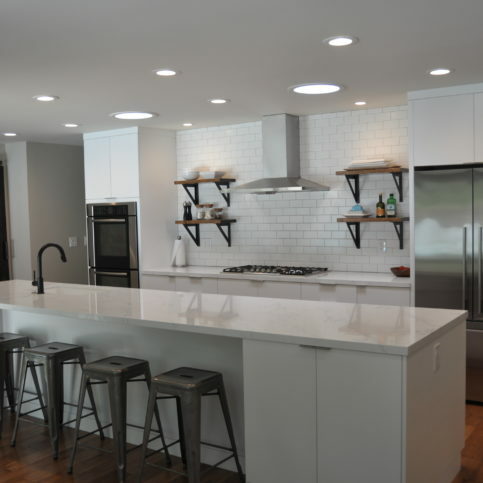 We’ll help you understand your options and build a design that incorporates appliance, countertop, flooring, lighting and backsplash options. If we can’t help you find what you’re looking for, we’ll happily refer you to one of our local business partners. A: Give us a call at any time! We don’t charge for our initial estimate and design consultation. 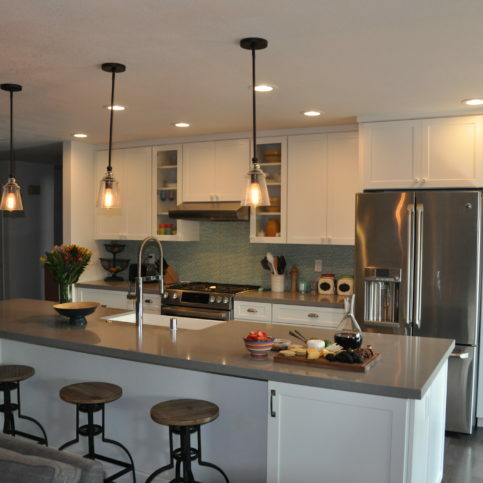 We’re confident that once you’ve worked with one of our designers to understand exactly what your remodel entails, you’ll know you’re working with the right people. DIAMOND CERTIFIED EXPERT CONTRIBUTOR ADVICE & TIPS FROM Frank Canova Jr.
Frank Canova Jr. is president of Diablo Valley Cabinetry, a Diamond Certified company since 2008. He can be reached at (925) 709-4920 or by email. Frank grew up in Danville and attended Cal Poly, San Luis Obispo before his job as a technology consultant took him all over the country, from Florida to Arizona to Kansas. His later career transition brought him back to the East Bay, where he now lives with his wife, Kate, and their daughters, Olivia and Natalie. Frank says the indigenous landscape provides a perfect setting for the outdoor activities that he and his family enjoy on a regular basis. “We like outdoor pursuits such as skiing, hiking and mountain biking, and we also love the ocean, so having it all within a short distance is really great. Our girls are just getting to the age where we’re able to involve them in some of the activities we love, so that’s been a lot of fun.” Frank is also an avid triathlete, and he typically participates in one or two events every year. “I was more competitive when I was younger, but now I mainly do them as a way to stay active,” he says. A: I really like the 49ers, the Warriors and the A’s. A: I’m always impressed with the majesty of Giant Sequoia and Redwood trees. A: I played basketball, and I was fortunate to be part of a very talented team that went to the state championship two years in a row. I also learned a lot from our coach about things like teamwork, setting goals and having a strong work ethic. Q: What’s your favorite genre of movies? A: I enjoy sci-fi and action movies. A: A bagel with a glass of orange juice. 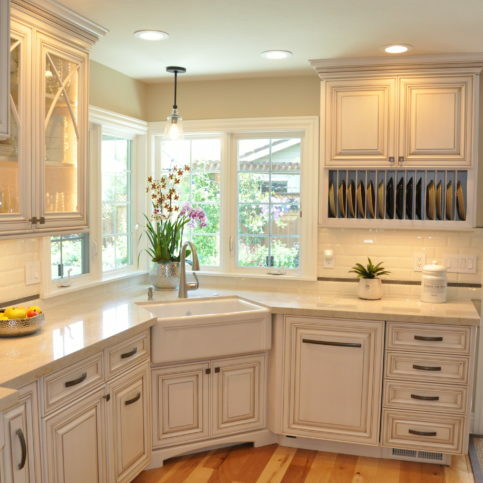 SAN RAMON — If you’ve recently had new kitchen cabinets installed, you’ll want to be proactive about maintaining them. This primarily consists of two aspects: cleaning and repairing minor damage. • Promptly wipe up spills with a microfiber cloth. Avoid using paper towels—due to their abrasiveness, they can damage your cabinets’ finish if used recurrently. • To remove grease and food particles, use a mild cleaning product that’s appropriate for wood cabinetry. • Don’t hang hand-drying towels over your cabinets—these tend to hold a lot of moisture, which can get transferred to the cabinetry. 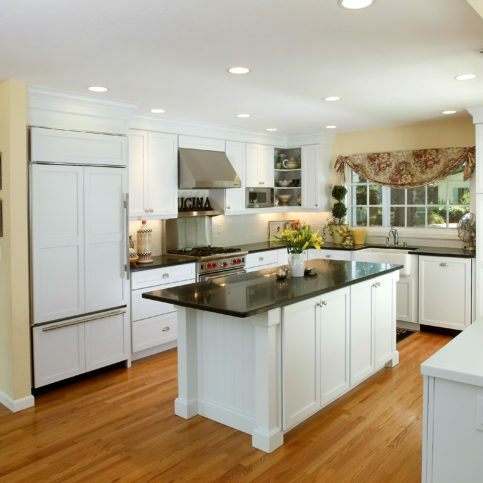 Minor dings, dents and scratches inevitably happen with wood cabinets. Fortunately, most can be easily repaired using a cabinet touch-up kit. These kits usually come with a putty stick and a marker, which can be used to fill in dents and scratches and blend in the color. This allows you to “erase” minor blemishes and keep your cabinets looking pristine. SAN RAMON — If you have custom cabinets, you may find that using them every day can cause the drawer boxes and fronts to become misaligned. Fortunately, most cabinet manufacturers include features that allow homeowners to easily adjust cabinet drawers themselves. Many modern cabinet drawer boxes are equipped with a quick release, which allows you to remove a box from its guides with the squeeze of a handle. In addition, there’s often a slider adjustment on the box’s underside that enables you to fine-tune the position of the drawer front. Besides the features located under the drawer box, many cabinets also include adjustable features in the rear of the guides. By adjusting the guide to lift or lower the back of the drawer box, you can correct any tilting of the drawer from front to back. Once you’ve made adjustments, place the drawer back on the guides. Gently push in the drawer—when you hear a click, you’ll know it has been successfully adjusted. 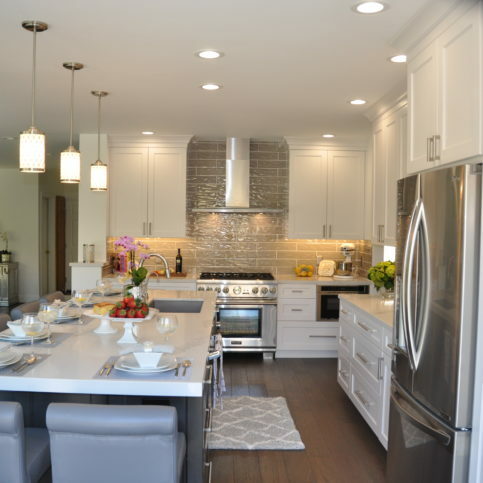 SAN RAMON — Host, Sarah Rutan: After having new kitchen cabinets installed, you’ll want to protect them from premature wear and damage. Today we’re in San Ramon with Diamond Certified Expert Contributor Frank Canova Jr. of Diablo Valley Cabinetry to learn two major maintenance steps. 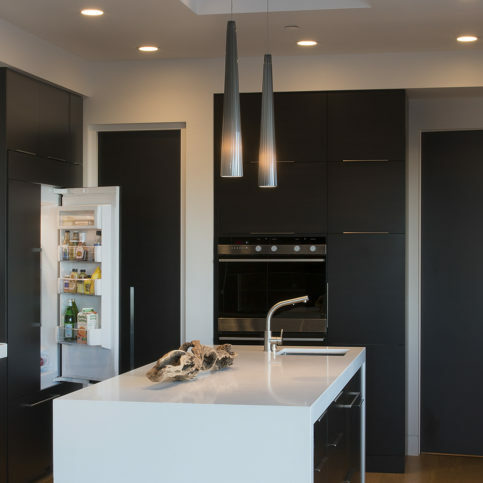 Diamond Certified Expert Contributor, Frank Canova Jr.: At the end of every project, every homeowner wants to know how to take care of their finished kitchen. There’s two main things to keep in mind. One is protecting against moisture. Especially at the kitchen sink area, no standing water, no food residue, no oils. All that, you want to make sure you that you wipe up very quickly. Use a microfiber cloth as opposed to a paper towel because a paper towel can act as an abrasive and actually deteriorate the finish over time. All the finishes these days are very durable, lifetime warranty, but standing water will create issues long-term. So, that means no towels hanging over moist on the cabinet. Make sure those are removed. Spray it and use a cleaner such as an orange-based cleaner to reduce—to remove any food products. And the second item is addressing any dents and dings that come up—little scratches, little dings that happen. Most touch up kits are going to come with a putty stick and a marker. You can use the putty stick to kind of fill in and blend, and you can take the marker pen to help blend in the color, and that will make that disappear over time. SAN RAMON — Host, Sarah Rutan: If your cabinet drawers come out of alignment, there are ways that you can correct this issue. Today we’re in San Ramon with Diamond Certified Expert Contributor Frank Canova of Diablo Valley Cabinetry to learn a few ways to adjust your cabinet drawers. Diamond Certified Expert Contributor, Frank Canova: You may find through every day use, your drawer boxes and drawer fronts may become out of alignment. Most of the under mount drawer guide manufacturers now have some adjustability to them. There is a quick release on the underside of the drawer box allowing you to remove the drawer very easily. There may be different versions of this but typically you can release the drawers by squeezing these. There is a slider adjustment that will allow the drawer front to go up or down a slight dimension. 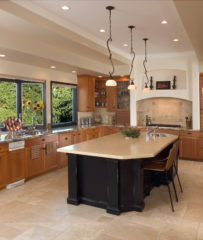 Diablo Valley Cabinetry : Average 9.0 out of 10 based on 275 unique customer surveys of customer satisfaction. They were very thorough and understood our needs completely. Dee is the best designer who really knows her stuff. Go over there, because they have a great selection. They were very consumer friendly. Individually, the owner and his employee, Dee, were fantastic. The fact that they are located in San Ramon and we live in Sonoma, they were willing to come all that way to perform the work they did is amazing all in itself. I would say it was a very high-quality product. My contractor has been working with a person named Dee who is the designer for the company. I cannot say enough about her expertise and attention to detail. This is the third time we have used them, and we have been happy every time they have done work for us. They have a wide selection of products to choose from. I would say that they met all of our needs and our specifications. I like the fact that they are a small family-run business that contributes back to the community. I was very satisfied. They delivered what they said, and I really enjoyed the follow-up. If there were any problems, they were great about them. It is a family-owned business. They have strong customer service. I felt that there was a personal touch and that they really cared. They had a great showroom, there were a lot of choices, and they were close to my home. 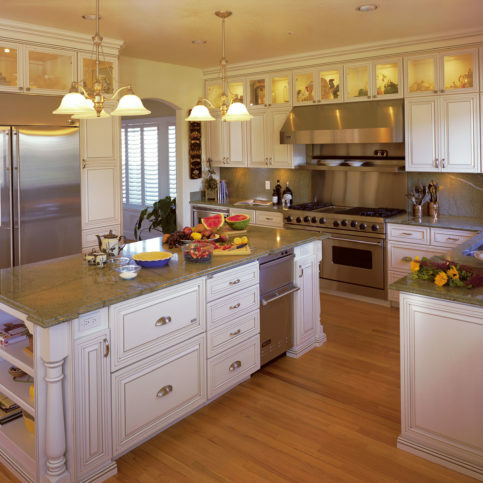 They should use Diablo Valley Cabinetry, and I have recommended them to friends. I liked Crystal and the guy who came out and helped us with some cabinets that weren't fitting correctly. Everything was great. I am a contractor, and it was easy to work with them. They came to the house, we explained what we needed to put in the cabinets, and they designed it to meet the pots and pans we needed. They're very thorough and flexible. They listen well to what my needs are and make any necessary adjustments. They made sure at the very end that everything was exactly how I wanted it. 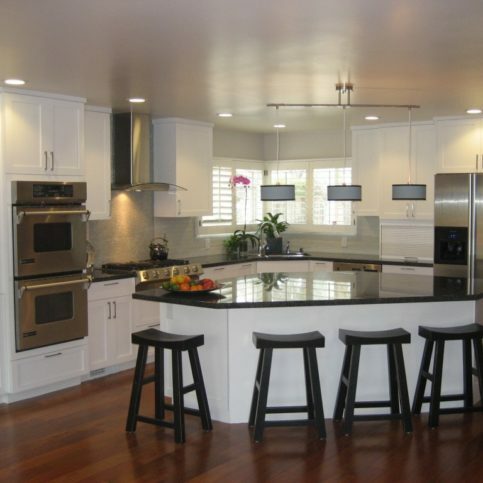 I am 100% for Diablo Valley Cabinetry. From start to finish, it was wonderful. Their expertise, what they did, how they handled themselves, it was a wonderful experience. I recommend that people use them. I enjoyed working with them. I thought they did a good job, and overall, it was a good experience. The workmanship was really good. The workmanship and the materials were good. They matched this particular wood that we needed. They did a good job. They were great. Dee was great. Everything was done perfectly on their side. There are lots of little things that happen on a big job, but nothing was wrong with any cabinet or any measurement, it was just perfect. Working with Dee, she was very good. She had great ideas and was very accurate. They were very responsive to a couple of problems that we had, in terms of shipment with the manufacturer. They really listened to what we wanted in the planning and design stage.